New Delhi: While former team director Ravi Shastri and former opener Virender Sehwag are considered frontrunners for the job of India coach, the battle is definitely getting interesting with former West Indies coach Phil Simmons applying for the position. With the Board of Control for Cricket in India (BCCI) extending the last date for submission of applications to July 9, a few more interesting names are expected to join the race. Speaking to Cricketnext, a BCCI official in the know of developments said that while Simmons has applied, a few more interesting names could join the race. He feels that Anil Kumble stepping down has increased the interest as he is no longer the obvious choice to get an extension. 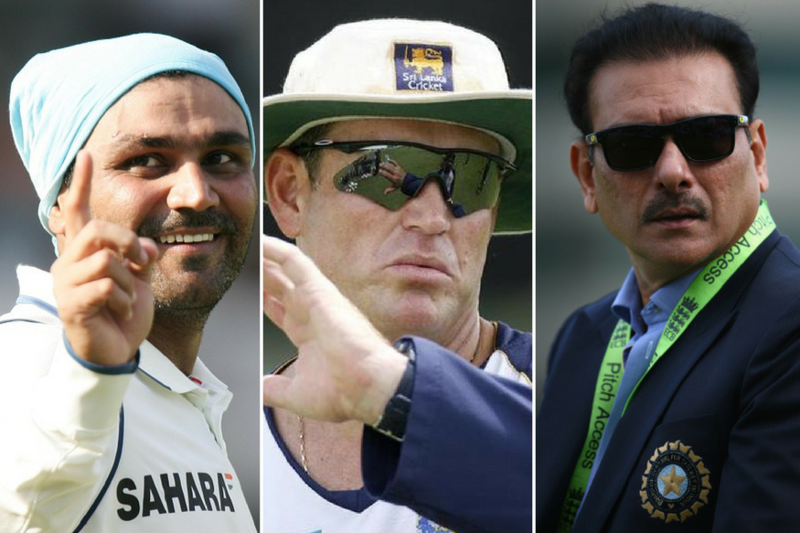 “Shastri and Simmons both have applied. You can expect a few more interesting names to come in over the next couple of days. The reason for the rise in interest is the fact that now the candidates are sure of their position and the openness of the playing field. Earlier, most thought that Kumble would be handed an extension and it was futile to apply. But now that Kumble is out of the race, the candidates feel that they have a chance. You have to realise that it is a coveted job and Indian cricket is going through a good phase and this young team will be world beaters in the time to come,” the official said. Simmons is the latest candidate in the race and he has a good resume at his disposal. He was at the helm when West Indies won the World T20 in 2016. But differences with the board saw WICB cut ties with the former opener. CricketNext had earlier reported that BCCI had approached former team director Ravi Shastri to apply for the coveted post, after deciding to re-open the application process for the now vacant position. A source close to developments had told CricketNext at the Board had approached Shastri on the insistence of captain Virat Kohli, who is known to have a good equation with the former team director. "It is no secret that skipper Virat Kohli wants Shastri back at helm and Shastri was spoken to so that he applies for the interview process, but the former team director isn't willing to be in a position where his claim is rejected again. He has made it clear that he will speak to the BCCI or CAC on this matter only if he is given a guarantee that he will be handed the job. There is no question of joining a queue and hoping that he is considered for the post," the official had said. Acting BCCI president CK Khanna had told CricketNext that the next Indian coach will be appointed before the team's Sri Lanka tour begins in late July. Shastri's return though will not be as easy as it appears. The former Team Director had an ugly showdown with CAC member Sourav Ganguly after his candidature was rejected last time. Shastri had accused Ganguly of not being present when he had given his interview via skype. Ganguly on the other hand had criticised Shastri for not meeting the CAC in person. He was the director of the team between 2014 and 2016 during which time he led India to the semi-finals of the World Cup in 2015. Shastri had also applied for the job last year but Anil Kumble, who resigned as India last month, was preferred.